According to the Sun, Manchester United defender, Luke Shaw may leave Manchester United after being criticised for his performance against Brighton. Despite Manchester United winning the FA Cup quarter-final clash at Old Trafford against fellow Premier League outfit, Brighton, manager, Jose Mourinho was critical of the way his players performed in the game. The Sun reports that Mourinho singled out Nemanja Matic for praise, claiming that the Serbian player was the only player that showed classic, desire and personality throughout the game. Shaw, despite proving his fitness and form at the turn of the year, has found opportunities limited once again ever since the return of Ashley Young to the team after the veteran player was suspended for disciplinary misdemeanours by the FA. Shaw, 22 has had constant run-ins with Mourinho, who is not his biggest fan. United legend, Paul Scholes suggested earlier that the former Southampton man should leave United for the progress of his career, a sad fact that it seems the player has now acknowledged. Shaw has been beset by injury and fitness concerns even since he arrived at Old Trafford four years ago. 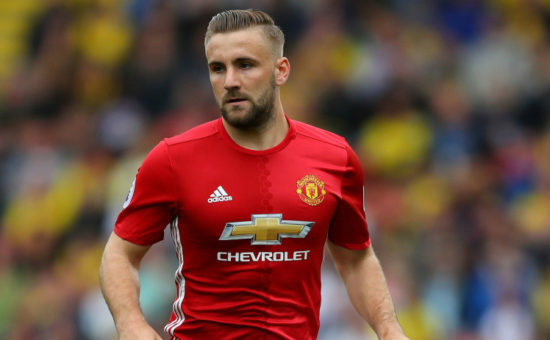 Speaking after the game, Mourinho slammed the performance of Shaw, with The Sun reporting that Mourinho only played him to attract potential buyers in the summer. The likes of Everton, Tottenham and Southampton have all been linked to his signature in the last few months. Shaw was substituted by Mourinho at half time. Shaw has played just 15 times for United in all competitions this season, with only seven of those coming in the Premier League.